One flew away and then there were nine. I am so glad you stopped by! I'm Emily, a Chicago-based newborn, baby, children's, and family photographer. Photography is one investment that gets more and more valuable with time. I do this because I love the moments, big and small, beautiful and real, that make your heart swell. Let me capture that overwhelming, all-encompassing, unlimited love in your family! I look forward to meeting your family! Contact me to book your session! Ten Little Bluebirds Photography, located in the heart of Chicago’s Lakeview/Lincoln Park neighborhood, provides fine art photography, including maternity, newborns, babies, children, and families. Ten Little Bluebirds has had photography featured in Lakeshore Lifestyle Magazine, and Me Ra Koh’s Your Family in Pictures. Emily Cummings is also listed one of the top Chicago Family photographers on the popular blog The Chicago Chic. Ten Little Bluebird’s upscale Chicago photography studio uses a modern minimalist style to capture authentic connections and real moments both in the studio and on-location throughout the Chicago area. Ten Little Bluebirds is a full-service Chicago portrait studio that offers prints and framing for every collection. Waiting for the little one to arrive. Watching the perfect stillness of a sleeping newborn. It’s a privilege for me to share that time with a new family. The relationships between children, parents, and grandchildren are precious and unique. I love getting to see a family love, hug, and be silly together! Click below to view. Sticky hands, runny noses, eskimo kisses and great big laughs: photographing children is a beautiful and sometimes gooey roller coaster! Click here to see my photography. In addition to children and family photo shoots, I offer prints of my other work from my travels and jaunts around Chicago in a variety of sizes, perfect for any wall. 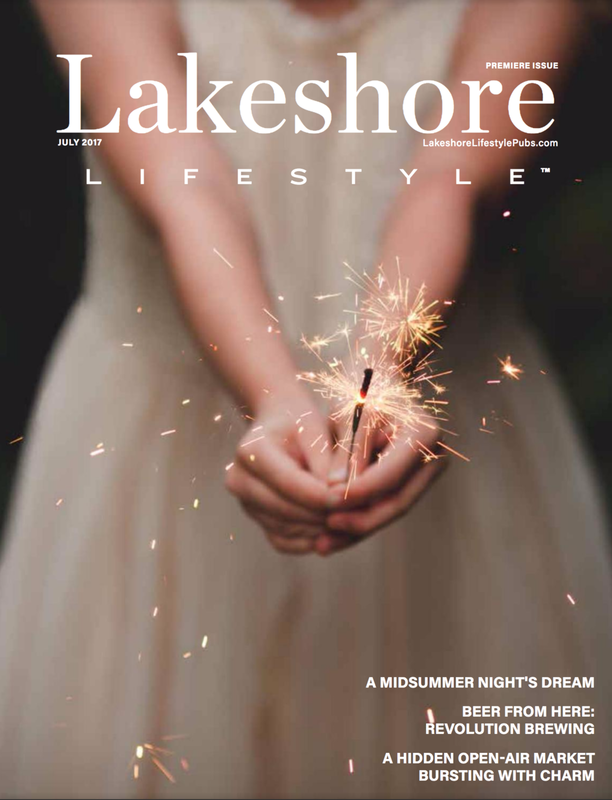 So thrilled to be part of the Lakeshore Lifestyle team! Check out the premiere edition here! I am honored to be recently featured in Your Family in Photos, a fabulous book by renowned photographer Me Rah Koh. A non-refundable session-fee is required to hold your date. Package prices may change at any time but are locked in once you book the session. However, if you decide to return to purchase photos after your gallery has expired the packages and a la carte images will be the current pricing. Photo Sessions are limited to immediate family members only. Due to an increase in editing time, a $30 fee will be added per each person beyond the immediate family. I will travel up to 10 miles outside of Chicago, IL for sessions. If you would like to hold your session at a location further than this, please contact me for a travel quote. Each full-length session includes includes an initial planning consultation, Planning your Photography Session Guide and 30+ digital gallery images. High-resolution Image and Print packages can be purchased once the gallery has been posted. The gallery will be posted for 7 days. There will be an additional $75 for reposting the gallery after this time. Please respect that package content and pricing is non-negotiable. I am happy to work with any issues that crop up and I try to leave time in my schedule to accommodate these. If for any reason you need to reschedule your full-length session, please contact us as soon as possible. The session fee non-refundable but can be transferred to another session date within 30 days of the cancelled session. If the full-length session cannot be rescheduled within 30 days due to the client’s schedule – the rescheduled session pricing is subject to the most current pricing. If a mini-session needs to be rescheduled, the session is non-refundable, but it can be transferred to another available mini-session time slot or the session amount can be used towards a full-length session within 30 days of the original session. If you or one of your family members is sick please call or email as soon as possible. When you are not feeling your best it comes through in the photographs. Scrapes and bruises happen and can be seamlessly retouched. However, some places are easier to retouch than others (e.g. noses are very hard to realistically retouch due to their contoured nature). If your child has blemishes on his or her face over and above the simple bites and dots, please email me a picture and we can evaluate the situation together. If a family emergency should come up in your family that makes your session difficult to attend, please make me aware as soon as possible. I will gladly reschedule your session in such cases. If the forecast calls for more than a 50% chance of rain the day before your session, I will be in touch to discuss the possibility of rescheduling or holding your session in my Lincoln Park studio. If the forecast for wind is above 15 mph, I'll be in touch the day before your session to discuss your preferences about moving it indoors or rescheduling. Wind can create unflattering hair and outfit issues that are beyond retouching. Standard sessions are up to 60 minutes in length. I work quickly, especially when there are little ones involved. This means that there may be times when I am able to capture what is needed for our gallery before we reach 60 minutes. Mini-sessions and Styled sessions times will vary with the session type. We are happy to discuss clothing options with you before your full-length session. Follow us on Pinterest to get ideas for the session and read our Style-guide carefully as a starting off point. Please limit the outfit changes to two outfits per person. Outfit changes take away time from full-length session time purchased. Outfit changes for styled sessions may vary on a per session basis. Due to time constraints there will be no outfit changes for mini-sessions. Within 3 weeks of your session you will be presented with 30+ images for any full length session. Though you may see many more photos being shot we strive to pick out the very best for your gallery. We will not show additional images from the session after the gallery has been posted. Your edited images will be posted in an online password protected gallery for up to 1 weeks (7 days). There will be an additional fee of $75 if you need the gallery reposted after 7 days. Pictures will be deleted one year from storage date of shoot. Please allow up to 3 weeks for delivery after your print orders have been placed. Print orders will incur a shipping charge. We can only guarantee quality of prints processed through our own professional labs. All sales of prints and products are final. Please note that colors may vary slightly from your computer screen to actual print product. Prices listed on our site do not include 10.25% sales tax. All images are copyrighted by Emily Cummings. You may post your photo(s) to social networking sites such as Facebook. You may not use your purchased image(s) for advertising or other revenue-producing purposes.